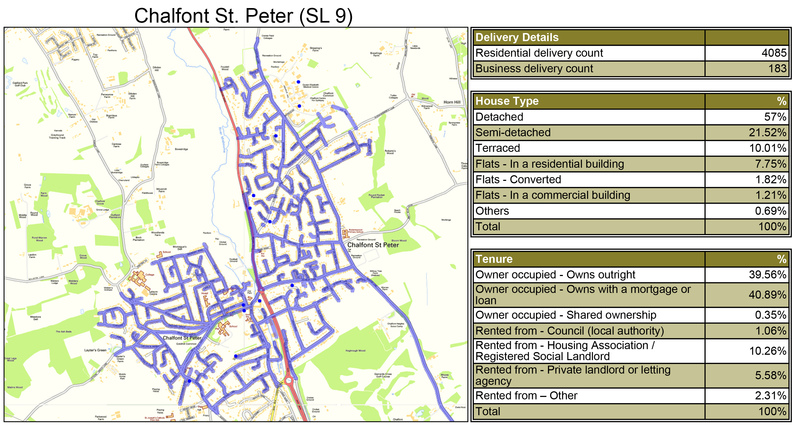 For GPS tracked leaflet distribution Chalfont St. Peter SL9, Abracadabra Leaflet Distribution can offer you a complete service. We have an excellent GPS tracking system which provides accurate results for your distribution. Our team will send you a report on completion of the flyer delivery round which only takes seconds to download and you will be able to view the exact route that the distributor took to deliver your leaflets. In addition to providing cost-effective and reliable flyer delivery, we also offer geotargeting to make sure you are delivering to the correct target audience. The success of your campaign is very important to us, after all, the more successful your campaign, the more likely you are to use us again. For this reason, we offer a free one-to-one consultation which gives you the unique chance to speak to one of our in-house marketing experts. Your leaflet design is very important for ensuring your leaflet distribution Marlow campaign is as successful and effective as possible. With great prices on printing too, you needn’t go anywhere else. We offer a discount on our distribution services if you have your leaflets printed and delivered together by us. To give you added peace of mind, we are proud members of the Leaflet Distribution Organisation (LDO) and abide by their code of practise. But don’t just take our word for it – see what our clients have to say about us by visiting our testimonials page! FREE report on the completion of GPS tracked flyer delivery, so you can view the exact route the flyer delivery person took during distribution, as seen in the above image. FREE unbiased and genuine advice is provided on the best possible way to plan your promotion. Discount on your leaflet design, print and distribution package. Chalfont St. Peter is a village in Chiltern district in south-east Buckinghamshire. It is in a group of villages called The Chalfonts which also includes Chalfont St. Giles and Little Chalfont. The villages lie between High Wycombe and Rickmansworth. 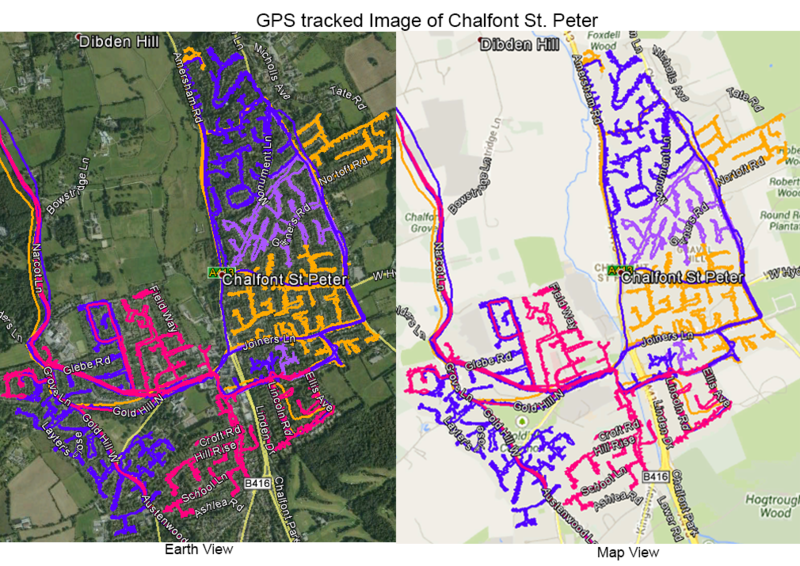 Chalfont St. Peter is one of the largest villages in the UK with nearly 13,000 residents. For your direct marketing or promotional campaign, Abracadabra Leaflet Distribution Chalfont St. Peter can cover SL9, including Chalfont St. Giles and Gerrards Cross. Get a saving on your leaflet delivery when you order both your print and flyer delivery together from us! With our leaflet delivery service attracting a repeat business rate of over 78%, you can’t go wrong with our one stop shop comprehensive service.